The only thing my daughter wanted for her 19th birthday was a trip to Disneyland & dinner at the Blue Bayou. When she was younger the Blue Bayou was her favorite birthday dinner spot, but as she got older three things happened: she became a picky eater, their menu changed and the prices went up. We strayed and the Blue Bayou fell off our radar. Fast forward to 4th of July weekend and her birthday this year. Her tastes have evolved and she's become a connoisseur of Disneyland filet mignon, having had the filet at Club 33 and Steakhouse 55. She was ready to try the filet mignon at the Blue Bayou. After a bit of research (that included math) I decided to reserve the Paint the Night Dinner Package at Blue Bayou for the four us. I am so happy I did! When I was planning this birthday dinner, I discovered there was little to no information available online in terms of pricing, value or an overall review of the experience. So I took good notes during our trip and put together a list of 5 reasons why I feel you should book a Blue Bayou Paint the Night Dinner Package at Disneyland. 1. 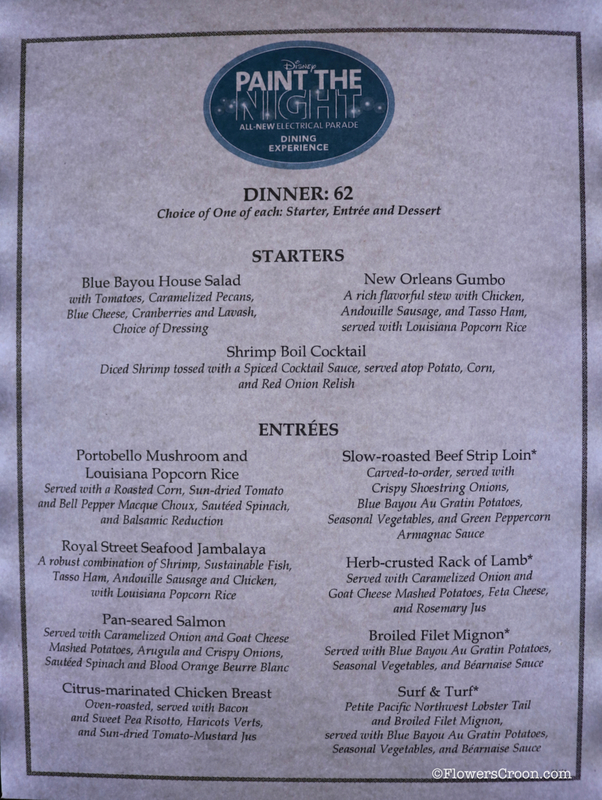 Ambiance: Located in New Orleans Square, Blue Bayou is more than a restaurant. It is a very uniquely themed and truly beautiful dining experience for all of the senses. As you dine under the twinkle of lanterns on the patio of a New Orleans mansion, you are completely immersed in the Bayou. The sounds of crickets and frogs singing in the background as Pirates of the Caribbean boats gently float by. It's romantic and charming, while still being whimsical enough for the younger diners. We requested a waterside table & of course all four us became little kids again as we waved at the Pirates passengers. Arrive 30 minutes before your reservation time to request a waterside table. We only waited 15 minutes, but wait times can vary to up to 30 minutes for those coveted tables. It's worth it. There are restrooms inside the Blue Bayou - be sure to use those before you leave for the parade. Be prepared for a bit of a struggle with photo taking. You are allowed to use flash, but because the restaurant is so dark flash can be extremely bright and annoying. Play with your camera settings beforehand. The menus are backlit, so no worries there. 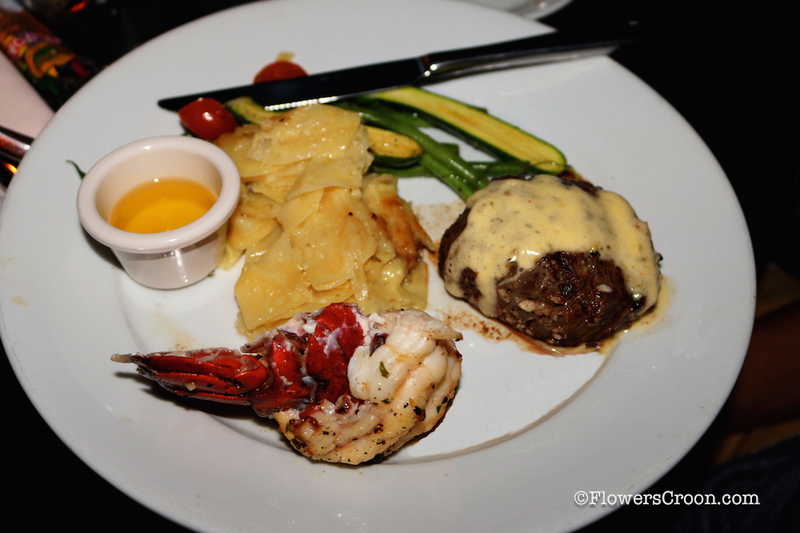 On the regular dinner menu, the Surf & Turf entree is priced at $48. 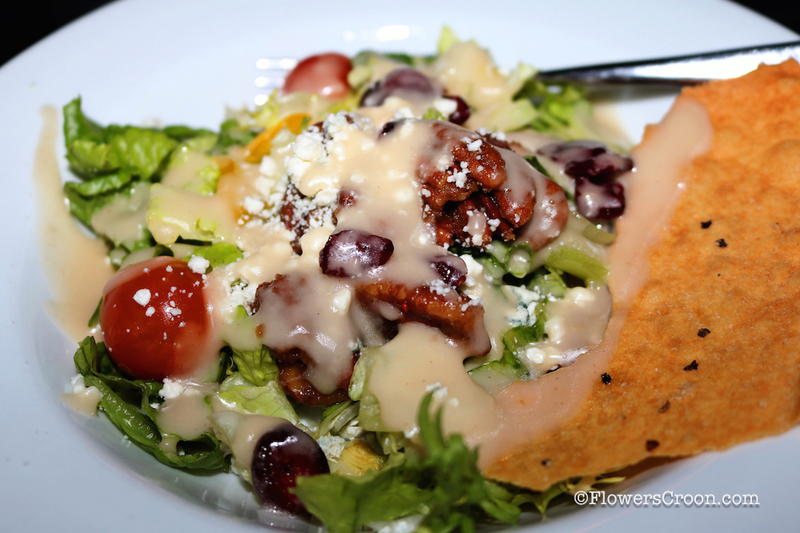 This comes with the same salad or soup option the Paint the Menu considers the "Starters" or "First Course". So far the regular menu is winning in terms of cost savings. Now add the dessert, which is included in the Paint the Night package, but is an extra $10 on the regular dinner menu. That brings the totals to $58 for the regular menu and $62 for the Paint the Night Package, meaning the difference in price is a whopping $4. Pay $4 more for preferred seating that I don't have to stress out about with a group of four? Plus use my Annual Passport Discount? Yes, please! I frequent Disneyland often, my daughter as well - we've seen Paint the Night more than once. However, her brother had never seen it and this was her boyfriend's first time at Disneyland. Ever. Neither of them had ever been to Blue Bayou. When you add all those factors, the math makes sense. Memories are priceless. So is not wasting time staking out a spot for the parade. The food and service were up to par as well. Our server was attentive and very flexible with my food allergies (yes, there's a food allergy menu available!) and specific needs. I had noted in my reservation that I was gluten-free plus allergic to soy and nuts and he was very accommodating. Our entrees (child & adult, left to right from top): Chicken Breast with Spaghetti fruit and veggie, Surf & Turf as listed on menu, Broiled Filet Mignon (substituted Caramelized Onion & Goat Cheese Mashed Potatoes), Broiled Filet Mignon (substituted fingerling potatoes). TIP: You can swap some sides. Ask your server. It was wonderful to be able to swap out our potato choices, allowing us to taste from all three options, including the famous Blue Bayou Au Gratin Potatoes. Our meat was cooked exactly as ordered and every plate was cleared - including the kid's plate! WIN! For dessert, my daughter went with the 8-Layer Chocolate Hazelnut Cake, while her boyfriend and I chose the Meyer Lemon Creme Brulee Tart and her brother received the Mickey shaped Fondant Chocolate Cake. This course was also devoured. Completely. Steal the white chocolate diamond and purple macaroon from ALL the plates and act like it was an accident. So amazing. Call 714-781-DINE (3463) to confirm or notify Disney of your food allergies BEFORE you visit. 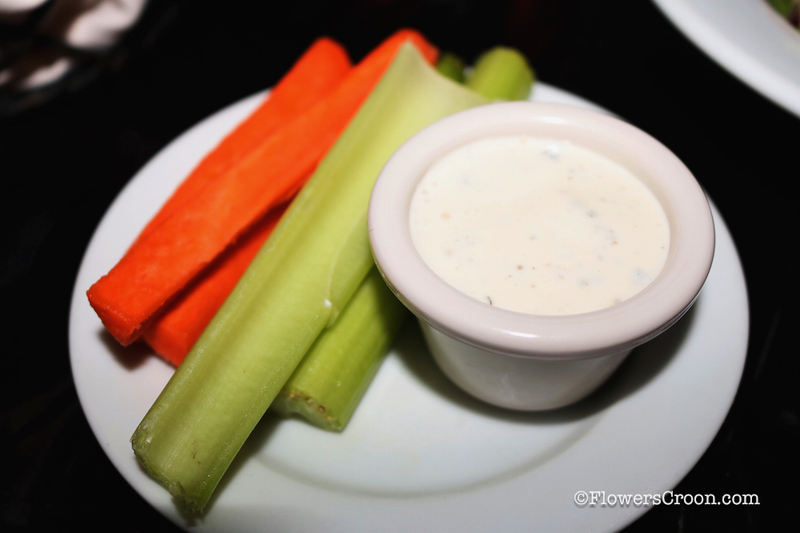 If your server doesn't mention it when you arrive, just remind them and you'll get the allergy-free menu. 3. Celebrate a special occasion & make new memories. What better way to commemorate her 19th birthday and her boyfriend's first visit to Disneyland than dinner in this iconic-since-1967 restaurant and preferred seating for the electrifying pixie dusted fabulousness that is Paint the Night?! How about a complementary birthday treat? TIP: After making your online reservation call 714-781-DINE (3463) to let them know what you are celebrating at your table. If it's a birthday, that guest will be treated to a complementary Mickey Fondant Chocolate Cake dessert, complete with a serenade. Before our desserts were presented, our server arrived with this cake for my daughter and proceeded to sing the "Happy Birthday Song". So perfect. It was such a sweet experience to celebrate her 19th birthday with her at Disneyland. She is at the transition age - from teenager to adult - and it warms my heart to see she takes such joy in the magic of Disneyland. 4. Preferred Viewing Area: The photos below were taken from our seats. That's how great our view of the parade was. Need I say more? Actually, yes. I have a few tips for you to ensure you get this view. Book your package for the 8:45 PM show. This typically means all dinner reservations before 7:00 PM, but please call 714-781-DINE (3463) to confirm dinner/show times have not changed. Personally, I don't think you should book your dinner time beyond 6:00 PM. Our reservation was at 6:00 PM, we arrived at 5:30 PM to request a waterside table and were seated by 5:45 PM. I say go with the earlier time 100%. This guarantees your ticket into the the first Paint the Night show at 8:45 PM. You will receive your Paint the Night Preferred Seating Voucher (looks like a FASTPASS) at dinner. 1) Don't lose it! 2) Disregard the time it tells you to line up if you want curb seating. If you want to sit on the curb like we did in the photo at the top, arrive at least 45 minutes before the parade start time. The meeting area is at the flag pole on Main Street U.S.A. Make sure your party is ready to grab a spot on the curb when the Cast Members drop the rope and allow you to choose your space. The curb is great for shot people or folks with kids, but there is plenty of seating behind the curb in the enclosed side walk area. Really, if you're there 45 min in advance - you're fine. The actual viewing area is on the curb/sidewalk that faces the train station on Main Street U.S.A. It's the perfect spot to watch the parade, which is why people will try to undermine Cast Members and sneak under the ropes. Be polite, but don't be afraid to point out that this is a reserved seating area if anyone should cross the ropes and ask you to move. People do this intentionally and unintentionally. Be courteous, but mindful of the fact that everyone in this section paid a premium and as such you shouldn't feel bullied or compelled to move by anyone lifting the rope and moving in. 5. Bonus: Here's your Disneyland Forever fireworks hook-up. The last float in the Paint the Night parade, is the Mickey Mouse float. Before Mickey you'll see smaller floats with Mickey's pals including Minnie in her tiny float. This is when you need to start collecting your items and preparing to stand up and move. Once the Mickey float has passed by, the parade is over. Immediately get up and start walking towards Main Street U.S.A. Most people will wait by the flag pole for fireworks, but that doesn't provide the fully immersive view of the fireworks. You want to walk up Main Street and sandwich yourself in as far as you and your family can go. Everyone will be spilling in the street at the same time so be sure to hold kids' hands. We made it up to the Market House (AKA Starbucks) and slotted ourselves right in the middle of the street. Two shows for the price of one. Awesome. So was it worth the extra dollars? Yes. Absolutely. And this is coming from a long time Annual Passholder who is very frugal during her multiple park visits. I can't wait to hear about your experience! Please feel free to share your own tips in the comments below. To book a package visit disneyland.com or call 714-781-DINE (3463).